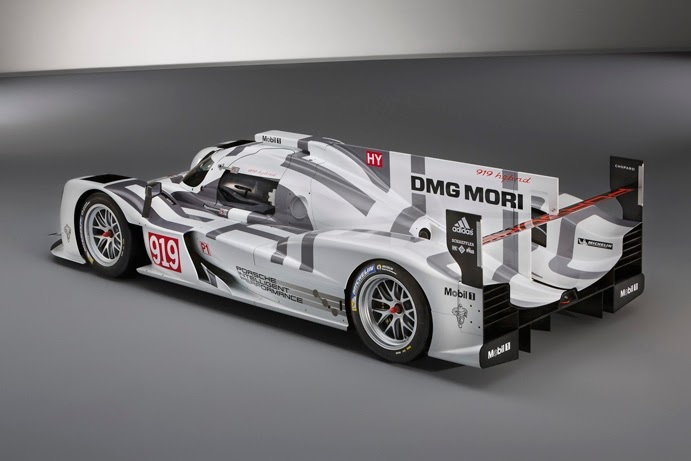 At the Geneva International Motor Show, the new Porsche 919 Hybrid is celebrating its world premiere for the top class of the 2014 World Endurance Championship (WEC). 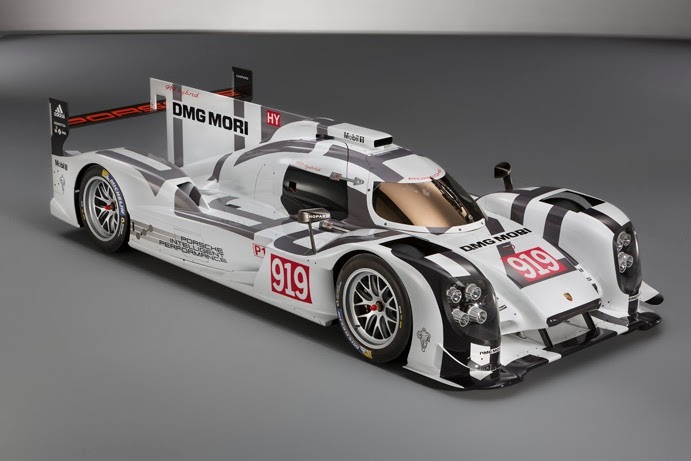 The hybrid prototype will enter all eight races of the WEC, whose season highlight will be the 24 hours of Le Mans. Matthias Muller, Chairman of Porsche AG: "Crucial in the development of the Le Mans prototype were the newly created and revolutionary racing rules for this class as they relate to energy efficiency. In 2014, it will not be the fastest car that wins the World Endurance Championship series and the 24 hours of Le Mans, rather it will be the car that goes the furthest with a defined amount of energy. And it is precisely this challenge that carmakers must overcome. The 919 Hybrid is our fastest mobile research laboratory and the most complex race car that Porsche has ever built." The high efficiency of the Porsche 919 Hybrid is the result of a balanced overall concept. From the combustion engine to the energy recovery systems, suspension and chassis, aerodynamics and driver ergonomics, the sum of the components form an incredibly efficient unit for maximum performance. The drive system is based on a 4-cylinder gasoline engine that is compact and lightweight. The 2.0 liter V-engine is a structural component of the chassis, and reaches a maximum engine speed of approximately 9,000 rpm. It features direct injection, a single turbocharger and thermodynamic recovery capabilities. The compact unit outputs around 500 hp. Two different energy recovery systems harness energy to replenish the batteries and provide power. The first system is the innovative recovery of thermal energy by an electric generator powered by exhaust gases. The second hybrid system is a motor on the front axle utilizing brake recuperation to convert kinetic energy into electric energy. The electric energy is then stored in water-cooled lithium-ion battery packs and when the driver needs the stored power, the front motor drives the two front wheels through a differential during acceleration. This gives the Porsche 919 Hybrid a temporary all-wheel drive system, because the gasoline engine directs power to the rear wheels, just like the 918 Spyder. A new Porsche team of over 200 employees was formed to develop and implement the development center in Weissach. Friedrich Enzinger, Head of LMP1: "Within two and one half years we built the infrastructure, assembled our team and put this highly complex race car on wheels. We have the greatest respect for the lead our competitors have in racing experience. Our objective in the first year is simple: to finish races and be competitive." Romain Dumas (France), Neel Jani (Switzerland) and Marc Lieb (Germany) will share driving duties in the Porsche 919 Hybrid with number 14. Car number 20 will be driven by Timo Bernhard (Germany), Brendon Hartley (New Zealand) and Mark Webber (Australia).